By starting Andre Iguodala with Klay Thompson, Kevin Durant, Draymond Green, and Javale McGee, the Warriors put their best defensive unit on the court. Brilliant move by Steve Kerr and his coaching staff because it guaranteed the best guys would be the ones setting the tone. It also guaranteed the offensively challenged Spurs wouldn’t go on a crazy run to start the game. 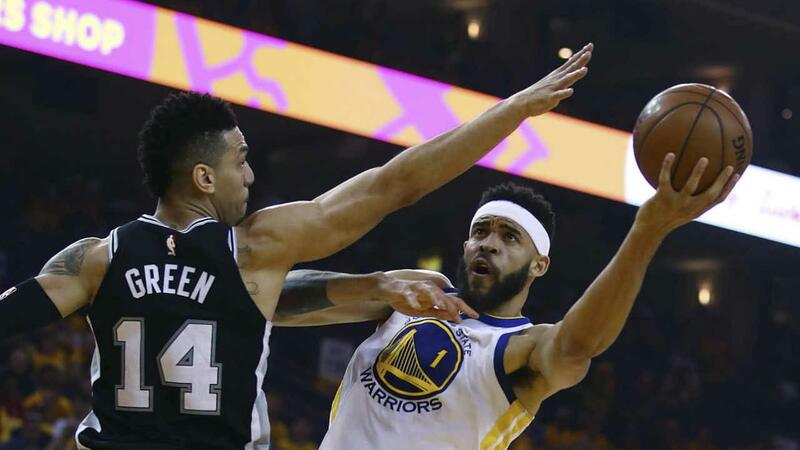 The starting unit nullified a number of the Spurs guards and wings and showed the team’s newer guys how it’s done. 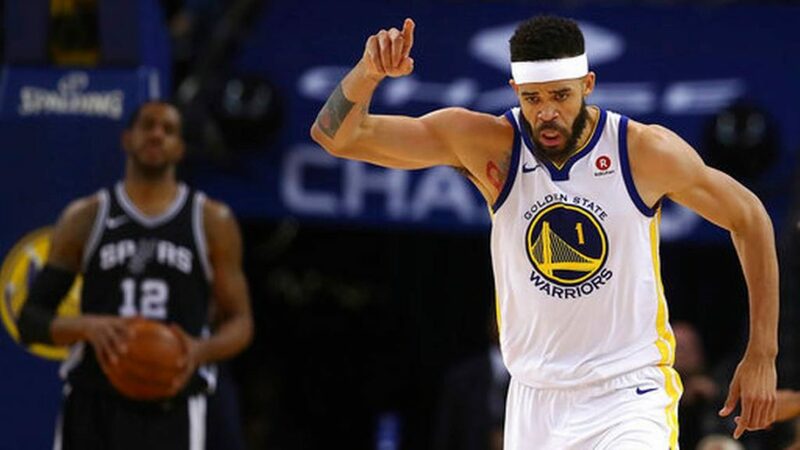 Having Quinn Cook in the starting lineup for his first playoff game ever may or may not have resulted in a few jittery hiccups, but Kerr wasn’t taking any chances. The team’s best four (without Steph) + Javale got the momentum going, and the supporting cast took their cue from them. 2) What happens when Klay and Javale come back to earth? The starters played really well collectively, but let’s assume Klay doesn’t shoot 11-13 and Javale doesn’t catch the Spurs off guard again and score a season-high 15 points. 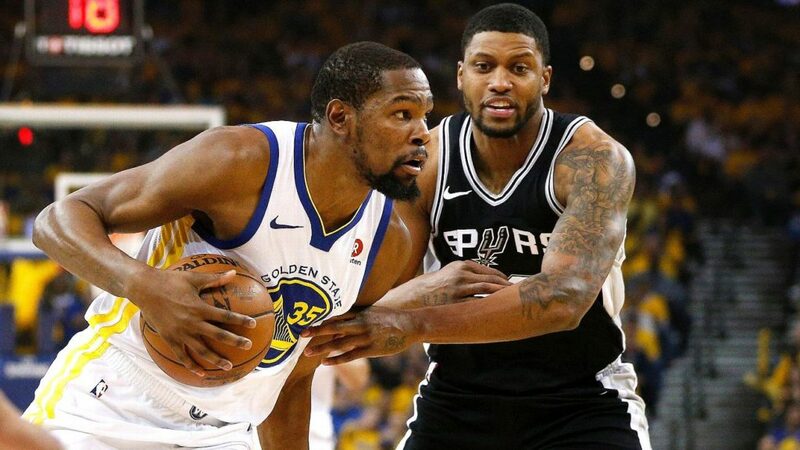 The Warriors need to protect themselves from a letdown game in Game 2 because all it takes is falling into a few bad habits thinking they’ve got this series wrapped up to open the door to a couple losses. I honestly feel there is another level the Warriors can get to beyond this game, so hopefully their bigger picture goal is to keep improving until they’re really playing full-on championship-level basketball for four quarters. KD had a solid all-around game and Klay couldn’t miss, but it was Draymond who actually LOOKED like a different player out there. 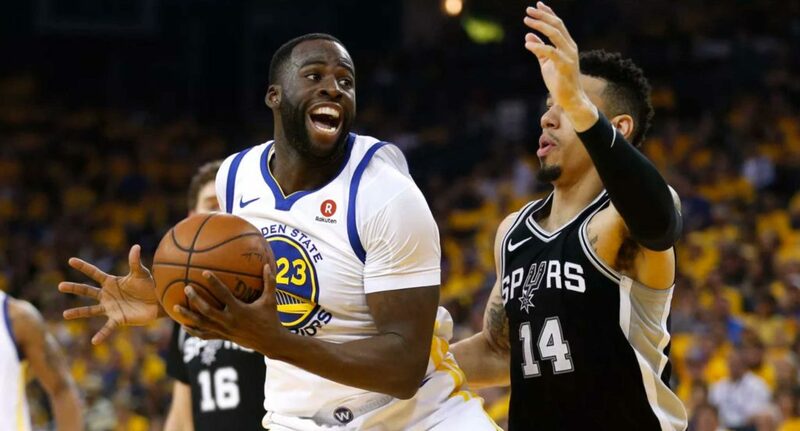 All season long he seemed a step slow, bogged down with nagging injuries, but in Game 1 a bearded Draymond all of the sudden transformed into the guy the Warriors have depended on for the last few years. He was spry, he was energetic, he had the perfect amount of swagger to get his teammates and the home crowd hyped. It’s good to see you Draymond. Really good to see you. There’s no reason to get a tech in a game in which you have 28-point lead, so early on there were a few questionable calls and no-calls that Draymond and KD just walked away from. They shook their heads, maybe said one thing back to the ref, then moved on. We’ll see what happens when the games get tighter and they start hitting the road, but this bodes well because each of them still has his full stable of six technicals before getting suspended for a seventh. Normally six techs would sound like a lot of leeway, but this season of course has been… special for them in that respect. Now let’s see if the squad continues to improve or if Pop comes up with some crazy adjustments in Game 2.